The Pilgrims learning to farm. 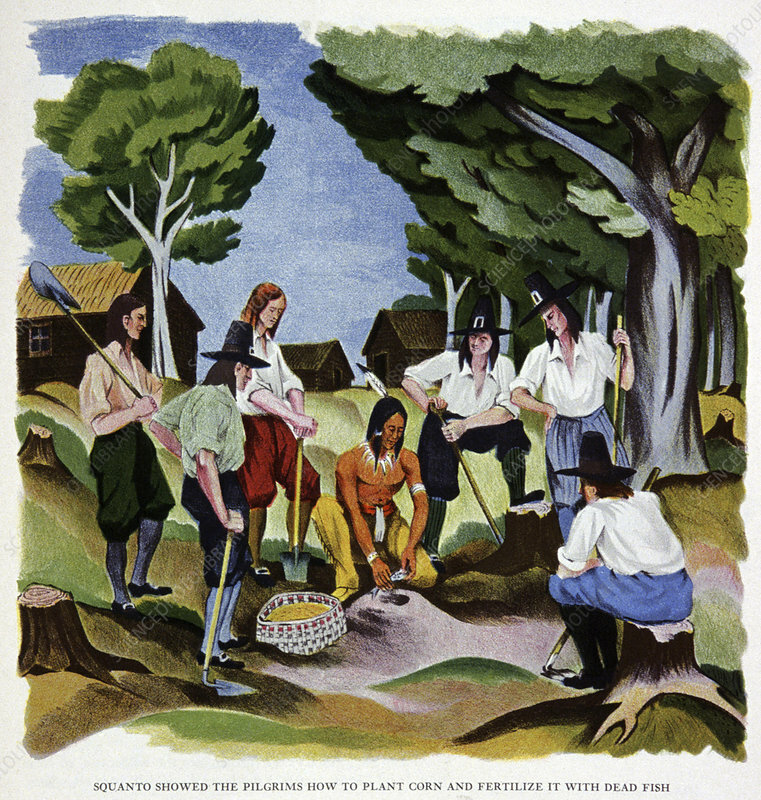 Historical illustration of the native American Squanto (Tisquantum) teaching the Pilgrims Fathers how to plant corn and fertilise it with dead fish. Squanto was the Native American who assisted the Pilgrims after their first winter in the New World and was integral to their survival. Image from History of New England, USA, circa 1930.